Cleveland, Oh. — Young Alexa Efraimson put her abundant talent on display last night in Portland, Oregon, clocking 2:01:13 for 800 meters at the Portland Twilight meet, a time which slots her # 3 on the all-time U.S. list for high school aged girls behind Mary Cain and the late Kim Gallagher. It was a fine piece of running by the Camus, Washington native who turned pro last year in lieu of exploring a collegiate running career, a decision that Cain had also made the year before. 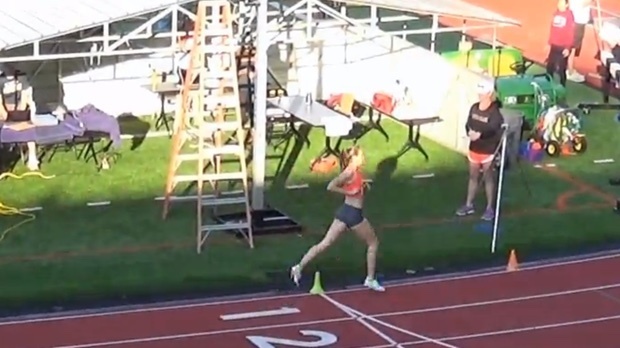 But even as Alexa showed her stuff, we are reminded that Mary Cain has come off the boil. After two years of blistering performances, including a spate of records from 800 to 5000 meters, reaching the finals in the 1500 meters 2013 IAAF World Championships in Moscow, and a win at the World Juniors 3000 meter champs in Eugene last summer, the Bronxville, New York native has come into 2015 under performing. Her indoor season was lackluster, and in her three outdoor 1500s to date she has yet to break 4:15. Last Thursday she finished 11th in a 12-person 1500 at the Hoka One One Middle Distance Classic at Occidental College in L.A.
Efraimson and Cain are just the latest two high school aged phenoms who matured early and were capable of national and even international caliber performances. But there is nothing automatic about youthful talent, and the road ahead holds no guarantees of future success. This past weekend I was in Cleveland for the 38th Rite Aid Cleveland Marathon and 10Km, races I have covered since 1978. Racing in Cleveland this year was another prodigious young talent with high hopes, and another former youth superstar who serves as a cautionary tale for all who follow. Alana Hadley of Charlotte, North Carolina ran the 10K in Cleveland, finishing 9th in 35:53, using the race as tuneup for Grandma’s Marathon in Duluth next month. Alana made her marathon debut in Cleveland two years ago, posting a 2:58, a PR she has since reduced to 2:38:34, winning the Indianapolis Monumental Marathon last November. She and father/coach Mark have steered her toward a professional marathon career rather than a college-based development system. 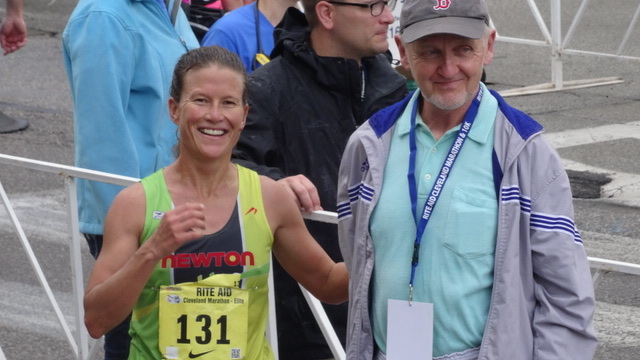 Also racing in Cleveland yesterday, and winning the master’s division in the marathon, was Boulder, Colorado’s Melody Fairchild, who clocked 2:58:58 time on an overcast, but humid Ohio morning. One of America’s most heralded running prodigies, as renowned in the late 1980s and early `90s as Mary Cain or Efraimson are today, Fairchild set one record after another during her junior years. In 1989 & 1990 she took back-to-back Kinney National Cross Country Championships, with her 16:39 still standing as the Morely Field course record in San Diego’s Balboa Park. She also brought home the bronze medal at the IAAF World Cross Country Junior race in 1991 after becoming the first high school girl in America to go sub-10:00 for two miles. But after entering the University of Oregon, the bottom fell out as Fairchild suffered from injuries and an eating disorder. After losing her scholarship her junior year, she rebounded to win the 1996 NCAA indoor title at 3000m, then represented the U.S. at the 1997 IAAF World Championships in the 5000m. And yet, she never did rise to the superstar status her early success suggested. I spoke with the now 41 year-old after she finished the Rite Aid Cleveland Marathon about her own path, and what she sees of today’s young talent. Melody has been married for nearly one year to Glen Delman, a Cleveland area native from Pepper Pike’s Orange High School. Also rooting her on was John Babbington, famed ex-coach of the Liberty A.C. in Boston who helped steer the careers of many a young talent, including Olympic medalist and world champion Lynn Jennings. Babbington was head coach of the 1991 U.S. Junior World Championship Cross Country team in Antwerp where Melody medaled. They have been close ever since. We hadn’t seen Melody’s name in the results for many years, but the arrival of the master’s division spurred her to reconnect with the sport that defined her when, as a 5’2”, 92 pound blond-haired pixie, she was the metronomic terror of her generation. The economical form that brought Melody so much success as a junior has now been turned toward ultra-distance racing. In 2012 she took eighth place at the World Mountain Running Championship, and in August she has her sites set on winning the Leadville Trails 100, perhaps the most celebrated of all ultra races in the USA. Even in her word cadence one can sense the passion and drive that has once again has set her onto a competitive path. But unlike in her ingenue days, there exists that settling overview of age and experience that balances those passions with life’s greater goals. Melody’s focus is already on children as her running club, Boulder Mountain Warriors, is geared toward ages 8 to 14, with an emphasis on cross country. I asked her what lessons she learned that might help not only her club members, but even more the other young talents of today who are mirroring her success at an early age. But every life is unique. While some youthful champions do suffer in the transition to senior division success, others make their way just fine. 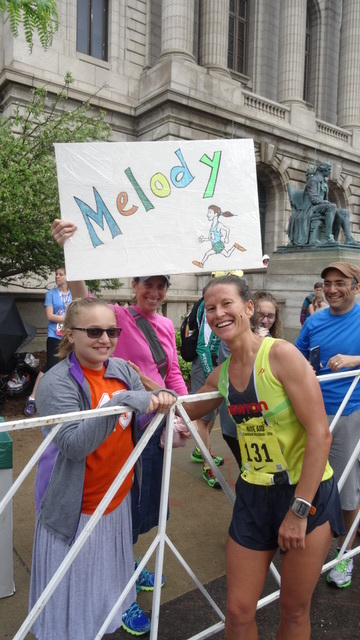 And let’s remember, Melody reached her crossroads crisis not simply due to running injuries, or from focusing too much on her sport. Today, happily married, back doing what she loves, but with goals of her own choosing as a guide, Melody sings a happy tune that isn’t defined by racing success or failure. seconds to load this post. Do you know that site speed is major ranking factor for google now? enjoyed the article. Melody is an inspiration and I look forward to learning more about her. Great read, great article Mr. Reavis and what a joy Melody Fairchild is, all the best and a tailwind to you Melody. I tend to agree that the Leadville 100 will not be an easy task. The top people there are experienced and steely-eyed. Melody will have to muster something special to prevail there. But, as always, we shall see after the starter’s gun is fired. Great piece on Melody, Tony. Wonderful to learn she’s made peace with her past and is using her running – and who she is – to guide, motivate and inspire the next generation. * the late great Kim Gallagher. Thank you, as always a great read and excellent story on running prodigies. There is one minor detail, I believe Kim Gallagher’s 2:00.07 is the second fastest 800m time behind Mary Cain. Thanks for the catch, Octavio. I’ve made the edit. Yes, Kim was quite the talent.